Due to making the top 10 of the Global Teacher Prize, I was invited to attend the Varkey Teacher Amabassadors Leadership Summit. It was hosted at the GEMS National Academy in Dubai. We started off our day with a warm welcome and an introduction to the week to come. It was a great morning and as we gathered in the reception, it also gave me time to connect with the other teachers who are in the top 10. You can see one of these in the picture. We received a very warm welcome from Vikas Pota who explained that we are the leaders of the future. He talked about the importance of teachers in education and gave every teacher in the conference a very big round of applause. It was so humbling and nice to see such positive things being said about education. While at the VTA Summit we started the day with a number of sessions aimed at helping us be advocates for Education. In some countries there is a negative attitude towards teachers and they’re seen as ‘second rate’ jobs. Many people do not see it as a profession. I’m very pleased with the Ruler of Dubai Sheikh Mohammad and Sunny Varkey for what they’re doing. In the morning we looked at developing and sharing a vision for the Varkey Teacher Ambassadors. We want to promote the need for teachers and the importance. We are change-makers and we discussed issues that we have around this. One teacher talked about their difficulties in establishing global connections due to their ‘internet connection’. We talked about how we could address this and tweets were sent out and teachers are now going to give their school postal addresses so that his students can be enabled. 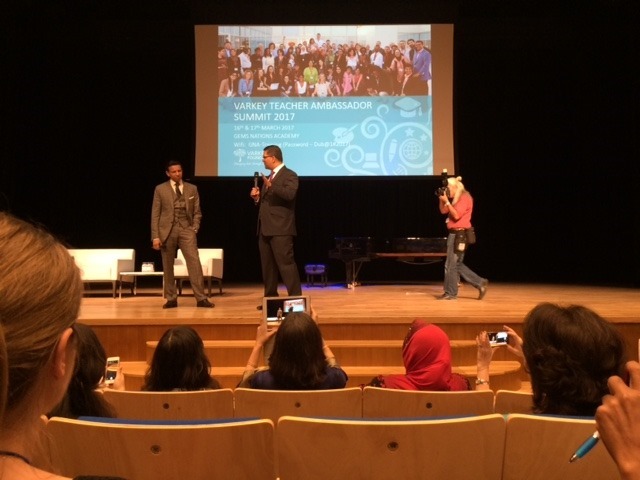 We also had the opportunity to meet Sunny Varkey. He was a very warm gentlemen to meet and he talked about the importance of teachers. He also talked about how we are the scaffolding and architects of the future. It was great to see his passion come through as he had a discussion with teachers about how they can promote the need of teachers globally. 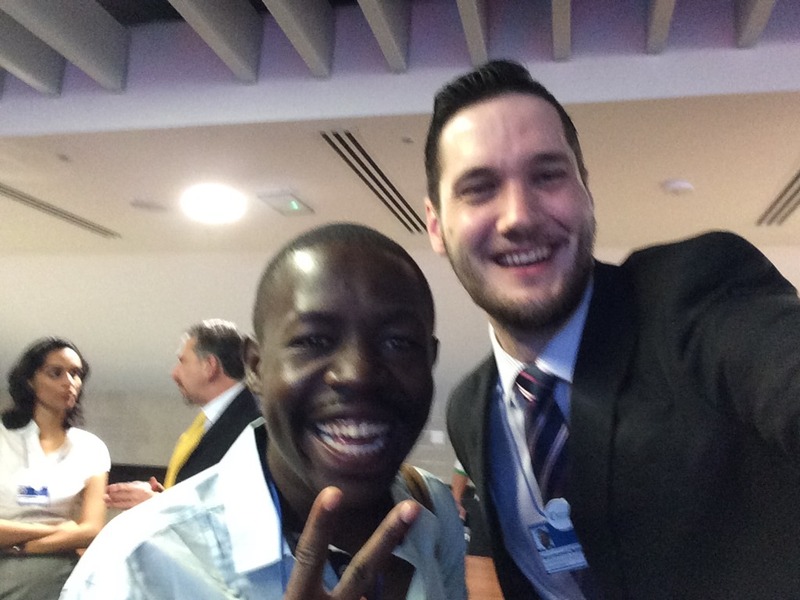 We also interacted and talked about the media. Teachers aren’t portrayed in a positive light by some of the media and it’s important that we have a voice. Sheetal Adhvaryu explains that we have a right to say no. If we think that we’re going to step into territory that we’re unsure of, remember that it’s ok to say no. We had a discussion and I reminded teachers that they should stick to what they know. If something doesn’t feel right, if someone is trying to give us direction with our students (media / press) – Remember that you know your students best. 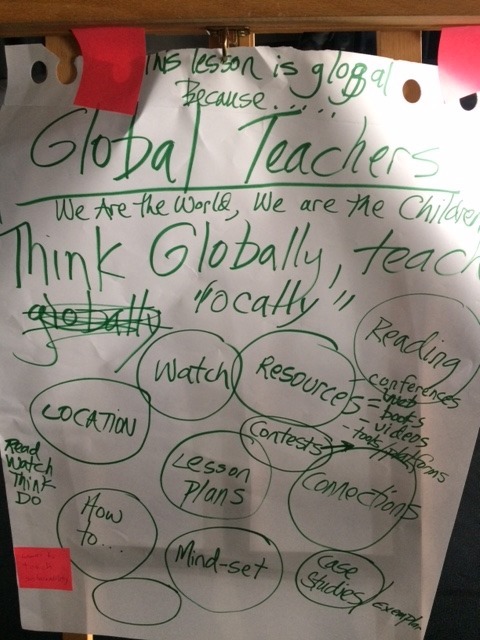 In the afternoon we were split into break out sessions where teachers shared their vision of creating a global citizen. In our group, we discussed the ways in which we could help create ‘science’ global citizens. How do we enable teachers and students to take their lessons global. How can we help them with their communication. There was a lot of valuable discussion about the importance in making things more accessible. One area that we all agreed on is there there needs to be direction for teachers who have never thought about enabling global citizenship. You can find out more about this in the next couple of days. At the end of our afternoon sessions the Varkey Foundation created a team building exercise called the amazing race. Teachers were encouraged to talk to someone who they have never spoke to before. I was very fortunate enough to meet up with 3 teachers. These teachers were Lisa Parasi from the United States, Janet Hayward from the United Kingdom and Andrew NChessie from Malawi. 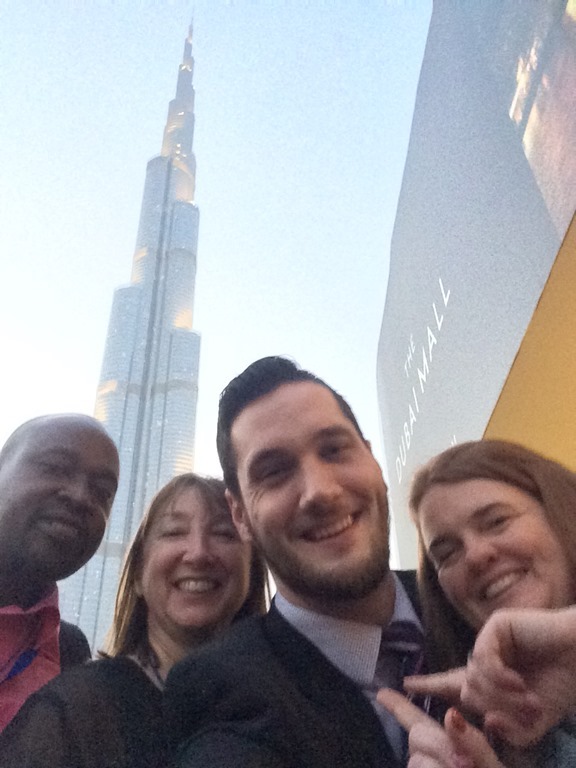 We had a great time and had to take as many ‘selfies’ as possible around Dubai. We were given a number of challenges. It was quite funny. I ended up being the ‘tallest’ person in most of the pictures. We were also able to look at the city in a bit more depth. I made some amazing connections and I know that these guys will be friends for life. Thank you Ruler Sheikh Mohammad and Sunny Varkey for this opportunity. I would also like to thank the team at the Varkey Foundation for everything that they have done so far in the organisation of this amazing summit. This entry was posted in Computer Science, Computing, global teacher prize, innovative teaching, new ideas teachers, teaching, varkey foundation and tagged Global Forum, global teacher prize, Sheikh Mohammad, Sunny Varkey, varkey foundation, VTA Summit, VTA2017. Bookmark the permalink.